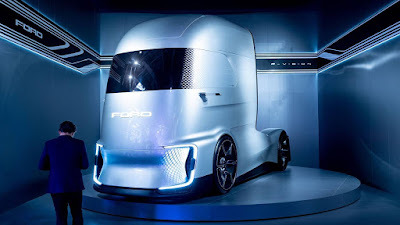 Futuristic trucks made by the automotive giant from America, Ford has become the center of attention at the famous Hannover Motor Show exhibition held on September 20-27, 2018, in the city of Hanover, Germany. 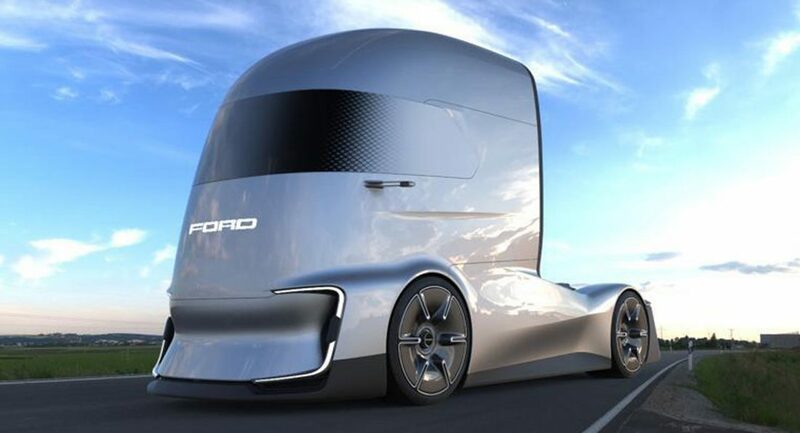 This truck is predicted to be a future commercial truck. 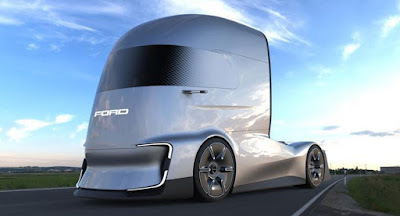 And Ford calls it F-Vision Future Truck which will become a stepping stone for the world's trucking companies to provide more value on its products. 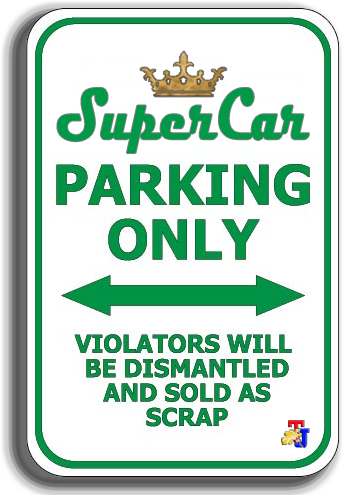 As reported by Carscoops on Thursday, September 20, 2018 this truck appeared in a prototype form. Reportedly the F-Vison was not built in America but at a Ford manufacturing facility in Turkey by its authority called Ford Otosan. They claimed that the entire truck body was designed that focused on the arodynamic side by applying a windshield that was looks as if there is no joints. So on the head of the truck it looks as if it merges with its rear cargo box. While at the front, Ford equipped this truck a sleek LED lamp and modern rearview mirror equipped with a video mirror and there was also an additional access door from the front to the rear of the cabin. These F-Vision truck wheels at first glance look like sculpted in the car body so that it reinforces the futuristic impression that is now a distinctive design of the future cars of various automotive brands today. 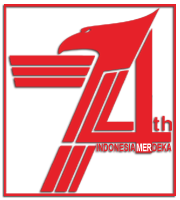 The engine specification has not been informed yet by Ford authorities. 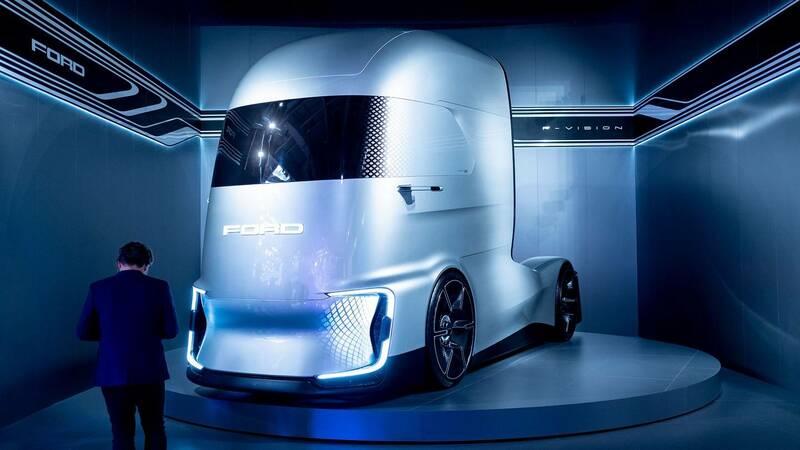 But they ensure this future commercial vehicle is an electric truck development with an electric powertrain that equipped with a Level 4 semi-autonomous steering system, which allows the truck to operate without human driver in certain situations.